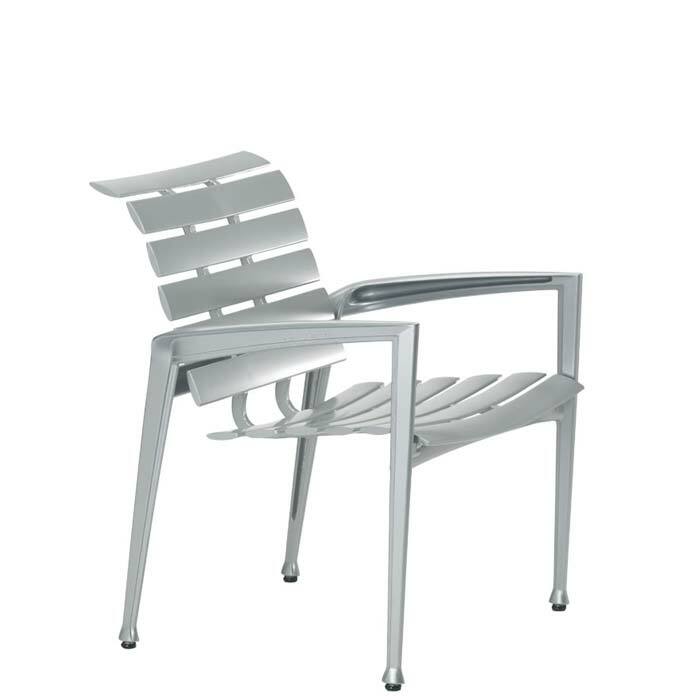 The Veer Cast Aluminum Dining Chair, designed by John Caldwell, features a unique seating surface of gracefully curved cast aluminum slats. The slats appear so light and airy, they seem to float over the dining chair's frame. Veer is available in any of Tropitone's frame finish options.